Skylark Blog: Does Adultery still Matter? 5 Reasons Why it Does. Does Adultery still Matter? 5 Reasons Why it Does. Besides the obvious issues that adultery presents for a marriage, does it still matter in a divorce? As a divorce attorney and mediator, I often see divorce cases where one party or the other has moved on and begun an affair. As suggested by fellow attorney, Gabriel Cheong, on his blog on this issue, I don't think this is as often the cause of divorce as it is a sign that the marriage was already over. So does adultery matter in a divorce case? 1. THE FIRST IMPRESSION: Adultery is still at base an emotionally charged issue. Most people's first reaction to hearing of one party cheating on the other, is to side with the "victim." This feeling is based on our own immediate reaction to the thought of being cheated on ourselves. This impression is not based on all the facts, and is an emotional, not rational, reaction. But because first impressions matter, adultery can have an impact on how a case begins which can often set the tone. It can sometimes be difficult to overcome this first impression and focus on how to move a case forward. 2. THE MORAL IMPACT - APPORTIONING FAULT: Adultery is still considered morally abhorrent conduct, even if it somewhat common. Therefore, discovery of adultery is often the moment when a party accepts that their marriage is irreparable. In addition, conduct is one of the factors in M.G.L. c. 208 s 34, the statute which directs the court in how to divide property and/or award spousal support. However, it is important to note that "conduct" is not necessarily weighed as heavily as the other factors and may not result in any major impact on the division of assets or award of support. Adultery is also still available as a cause for filing a Fault-based divorce. However, filing a case under the adultery statute is usually more trouble than its worth given the availability (and lower cost/ease of use) of the No-Fault grounds. 3. THE FINANCIAL IMPACT: While the conduct factor itself may not be weighed heavily in today's courts, any finances misdirected for use in an affair could directly affect the division of property. In fact, any funds spent directly on an affair (such as funds used for gifts, vacations, hotels, etc.) should arguably be replaced, or credited against the offender's share of the assets. 4. THE CRIME: That's right. Adultery in Massachusetts is still a crime. M.G.L. c. 272 s. 14 prohibits adultery and provides for both jail time and/or a $500 fine. Although a case hasn't been prosecuted since 1983 (Commonwealth v. Stowell) the statute is still in effect. This has certain unintended consequences, such as being able to use the 5th Amendment in a deposition if asked about the affair (i.e. invoking your right not to incriminate yourself in a crime). 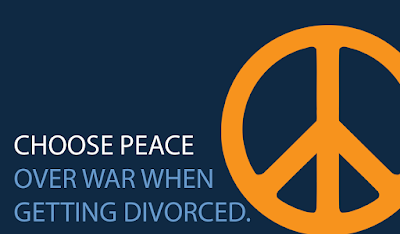 In most cases, the criminal aspect has a minimal impact on how the divorce proceeds. 5. THE DELAY: The biggest impact adultery has on a divorce case is usually the delay it causes in resolving the case because of the impact the affair has on the "victimized" spouse. The specific facts of the affair can have a major impact on how upset the other spouse is, as described in this recent NY Times Article about Adultery in the Martial Bed. The only way to avoid a trial in a divorce case is when both parties are ready to settle, and the hurt and anger that an affair causes can prevent the affected spouse from being ready to settle.